EzCheckPrinting check writing software for Mac saves customers time and money by printing professional checks with logo, MICR encoding and signature on blank stock. 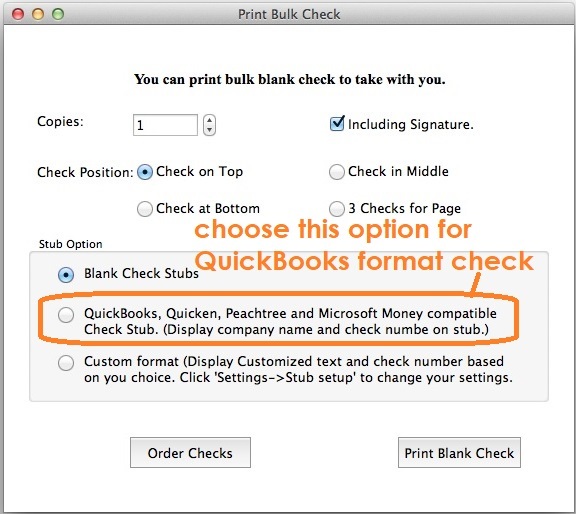 Even though the Mac version does not currently support Virtual Printer, Mac customers are still able to take advantage of ezCheckPrinting software to save money on pre-printed checks. This option works for most Mac customers. With this option, you can print the blank checks anytime you need.